As violence and protests against Nicaragua’s despotic government increased, the U.S. and the Organization of American States (OAS) tried to hasten Anastasio Somoza’s exit from power and broker a peaceful transition to a more democratic form of government. In June 1979 Secretary of State Cyrus Vance called for the replacement of Somoza with a broadly based transition government of national reconciliation, the negotiation of a cease-fire, humanitarian aid, and an OAS peacekeeping force. In Managua, Ambassador Lawrence Pezzullo pushed for an elaborate plan under which Somoza would resign and the Nicaraguan Congress would elect an interim successor. The successor would appoint a new head of the National Guard, call for a cease-fire, negotiate the gradual merger of the National Guard with Sandinista (FSLN) forces, and finally transfer power to a provisional government within 72 hours. Somoza departed for the United States on July 17. The Nicaraguan Congress then elected Francisco Urcuyo. 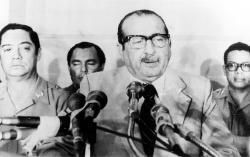 Pezzullo’s plan collapsed when Urcuyo announced his intention to remain in power until the end of Somoza’s presidential term in 1981 and obstructed the cease-fire negotiations. 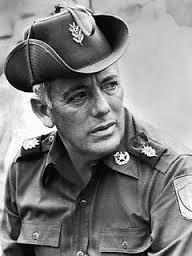 On July 18 Pezzullo departed and the National Guard evaporated; Sandinista forces entered Managua the next day and seized power. 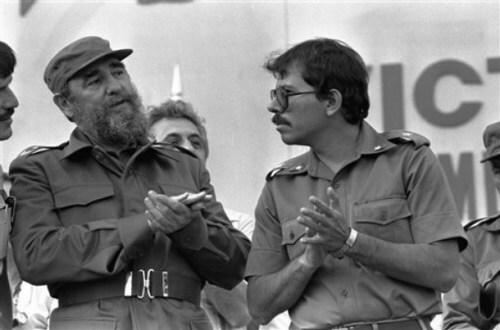 Despite overtures from the U.S., the new government allied itself closely with long-time supporter Fidel Castro. Lawrence Pezzullo served as the U.S. Ambassador to Nicaragua from 1979 to 1981. 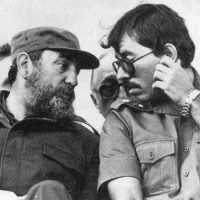 In his interview he discusses the failure of the Carter-Torrijos plan; Somoza’s hasty departure; his conversations with the FSLN and his attempts to work with the Sandinistas after they took power; and the Sandinistas illusions that Nicaragua would become a revolutionary model for the rest of Latin America. Pezzullo was interviewed by Arthur R. Day beginning in 1989. Read Part I about the end of the Somoza dynasty and the last years of Panama’s strongman Manuel Noriega. Q: You were called back before Somoza actually left, to participate in a meeting in the White House? PEZZULLO: Yes, the first time was because one of these ideas about forming this wise men’s group had reached the point where people thought that it should be considered again. And I went back to tell them it’s no go – this thing is not going to fly, and to forget it. So that was one crucial point. Then there was another meeting, shortly thereafter which had to do with the expansion of the junta. The junta was announced in San José, a five-member junta. And the concept began to develop within Washington circles that we should expand it to include more moderates. And I was called up to take part in those discussions…. When I went up on it, there was a long discussion, and Carter then addressed it to [Omar] Torrijos, who had come in to meet on this particular issue. 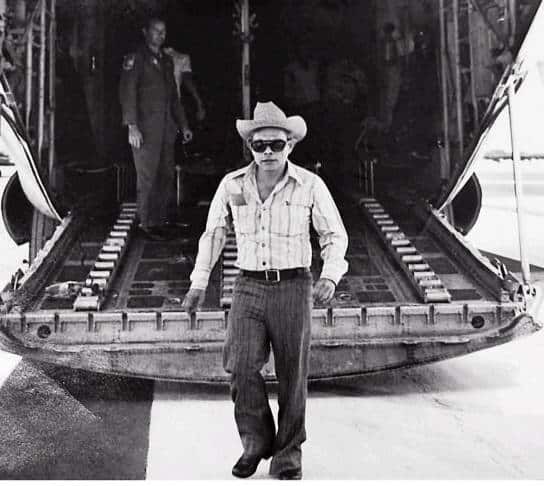 Torrijos, the President – well, the dictator — from Panama, who had been in and out of this issue all along, conferring with us, and doing some of the negotiating, and some of the helpful work, at the same time that he was supporting the Sandinistas in military assistance. And what happened out of the whole thing is that we did recommend that some – I know I, myself, Pete Vaky [Vinor Peter Vaky, the Assistant Secretary for Inter-American Affairs, ARA], were not all that hot on it, but it was recommended to Carter. He recommended it to Torrijos. Torrijos raised it with the Sandinistas, and they turned it down. And then when they turned it down, he told them it was an American plan. So the whole thing was a bust. In the meantime we had put together, basically, the scenario for Somoza leaving. And the scenario was, fundamentally, that he would turnover power, constitutionally, to a senator. He selected a fellow named Urcuyo [Francisco Urcuyo Maliaños], who was an unknown sort of hanger-on, of no great consequence. But Urcuyo, then, was to go through the process that we had laid out: he was to invite the junta from San José to come to Managua. The junta was going to come in, accompanied by the Archbishop of Managua, as well as members of the international community. Which were going to include Ambassador [William Garton] Bowdler, the foreign ministers of Venezuela, the Dominican Republic, and Costa Rica, and whomever else. The idea was to have a goodly number of people present from the international community, to make it a moment in history. At that point there would be a press conference right at the airport, and they would discuss the process of transition, which would take place over the next several days, where Urcuyo would hand over power to this transitional government, the junta in San José. And then they would follow through on the promises they had made to the OAS [Organization of American States], that they would take power, and then call for early elections, and so on, which they of course failed to do. In the meantime, the military commanders would meet, and talk about stand-down, merging the forces, and so on. This was explained to Somoza in a very detailed way. 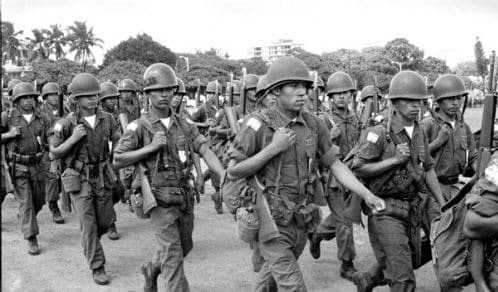 By this point in time, the new Guard commander had been selected by us, with Somoza’s concurrence, and the concurrence of the Sandinistas, through the junta in San José. The new Guard commander was a lieutenant colonel, unknown to anybody, a fellow named Mejia [Frederico Mejia Gonzalez]. All the Guard officers who were tainted by Somoza, which included most all the lieutenant colonels, and colonels, were all retired in one official act, and Mejia was made Commander of the National Guard. So that was taken care of. So Urcuyo was to take charge of the country, have it turned over to him. He was then to invite the junta from San José, and a whole series of things were to happen. Somoza left at three o’clock in the morning, the morning of the 17th [July, 1979]. I said, “Well, that’s understood –” Anyway, it was then that I told Washington that Somoza had backed away from the agreement, and this triggered the call from [Deputy Secretary of State Warren] Christopher to Somoza in Miami. Somoza then quickly chartered two yachts, and got out of the United States. But he had clearly given Urcuyo the other message that he was to stay on, not let the Communists come in, and goodness knows what. My theory is that Somoza was afraid that if he ever went to the Guard and said he was leaving, and they were going to turn over power to the Sandinistas, they would have killed him. And he lied to Urcuyo. Now, Urcuyo was just a plain liar, because he sat in on two meetings when I explained the scenario step by step to him, and then I had my DCM [Deputy Chief of Mission], Tom O’Donnell, go over to his hotel, and go through it with him again, minutely. And he was just a plain, bald-faced liar. [National Guard Commander] Mejia was duped. I went to tell him that very day. Then I went up to see the President with him, and we had a pretty stormy session. This was the second meeting. So it began to collapse. A day later he ran out of the country. Then because it was collapsing, I made the recommendation to Washington that I had to be pulled out right away, with some part of the embassy, accompanied by a public statement, criticizing Somoza for having broken the pact. Because if we didn’t do that, it would look as if this was our plan all along. They agreed, and I left on the morning of the 18th. The next morning–afternoon actually–well, it was about eleven o’clock. 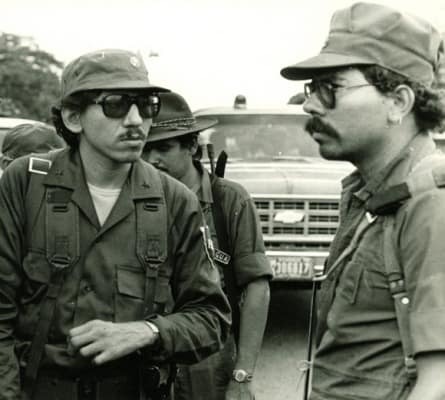 [Ortega, pictured with his brother Daniel, was] the head of the forces. The military arm [of the junta]. But it was too late, and Mejia had nothing to deal with; he had no armed forces left. His air force had run away, his infantry had run out to Honduras, and the poor devil was stuck. So he eventually got on a plane and flew to Guatemala. It was over. I mean, the National Guard had disappeared. And then you had the Sandinistas just drive into the country, and drive up to the capital on the 17th, and take over. I went to Panama. I took part of the embassy to Panama. We put out a public announcement stating that the plan that we had put together with Somoza, and had coordinated with the Sandinistas, had been aborted by Somoza. That was clear. Then they asked me to come to Washington. And when I got to Washington, I asked Pete [Vaky] to request agreement from the new government in Managua. Because I never submitted my credentials to Somoza, I went down there without anything. That was Bill Bowdler’s idea. He said, “You shouldn’t be dealing with him as ambassador; you should be dealing with him as a Special Envoy. So I went without the courtesy of any presentation of credentials, even though I had bought a white suit. You used to want to present – I still have the damn white suit. So I demanded that we get approval from the new government, because I didn’t know what their attitude would be, and I felt since we’re going to start anew, we’d better get this clear right from the outset. And they accepted right away. And I went down. In fact, I flew down on a C-141, out of Andrews [Joint Base Field in Maryland] that was filled with food. Because there was a food deficit and we began flying food in right toward the end, and kept flying in. So it was sort of a dramatic act to go back in with a planeload of food. So I flew in with a C-141. Landed. Met at the airport by Tomas Borge [co-founder of the FSLN, pictured], of all people. We had a conversation at the airport. And I presented my credentials, I think, two days later. They had a date for me right away. And I told the junta that we looked to a period where we could develop a relationship. The United States understood the trauma the country had gone through. We thought we had played a role in trying to prevent any further bloodshed. We took it upon ourselves to feel a certain amount of pride in that. But we want to help, in a meaningful way, the new administration. And we were prepared to look at aid packages, and so on and so on. And shortly thereafter, we gave them some money. Their treasury was bare; we gave them some hard cash right away. And we started opening up some programs that had been frozen during the Somoza period. The food was coming in all the time, by the way. And then we began working on the longer-term programs…. And we held to that. Pete and I were up in the Congress, shortly thereafter, giving testimony. And this is basically the line Pete took, and I took. Now, confidentially, when we talked to people and what I was reporting back was first of all, there was no question there was deep-seated animosity toward the United States in this group. 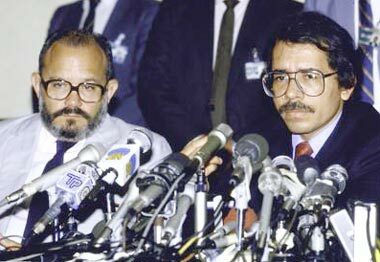 I started getting around to see all the nine commanders and the Foreign Minister [Miguel d’Escoto Brockmann], who was a former [priest with the] Maryknoll [Missionary Society; he was suspended by Pope John Paul II in 1984 and reinstated as a priest by Pope Francis in 2014; pictured with Daniel Ortega]…. Escoto, who bore a tremendous amount of resentment against the United States, even though he was born in the United States, and speaks English as well as anybody. Viscerally anti-American, in almost an emotional way. Interestingly, because his father was a Somoza diplomat, and a slavish Somoza diplomat. You felt it all through this rebellious quality. A young man resenting the failings of his parents. And what I tried to do was to show that, you know, a mature power–a major power can understand change and can understand young people wanting to transform a country. That we thought we were not the ones to judge that. But there were certain things that had to be understood, in terms of a relationship. So I kept the tough issues to a very bilateral kind of thing. And in public we were supportive, and we were trying our best to give whatever assistance was needed. They responded, I thought, quite well, given what they thought we were; you know, suddenly finding themselves in a governing role. They were – and Nicaraguans in general – are very gracious people; they happen to be that kind of people. So you can meet with them, and the conversations will always be at least civilized. Even though they got heated, they were civilized. And they really respected the fact that we had done some of the things we did; they respected that. But they resented, very much, the long-term support of Somoza, and so on. So you’d have to go through that. And the questions that arose early were, you know, what are these bunch of guys? I mean, are they going to work themselves into a lather? Are they going to ever turnover power to anybody? And what’s the role going to be of the Cubans, and so on. Well, it wasn’t too long before it became clear that the Cubans had an in that nobody was going to compete with. The Cubans had fought with them; the Cubans were their military advisors. The Cubans are very good at ingratiating themselves because they know the culture. And Castro was bigger than life to them. To them there were very few heroes that they could think of that would supersede Castro. So that quality was there. And I think all of them, sort of, aspired to be pint-sized Castros. So you saw that at the same time you were hoping that there was a learning curve here, and that these people would understand that governing is not just a question of making speeches and acting like a popinjay. But the chances of this thing ever moving democratic were very slim. And that I reported early, even though I thought we should constantly push on it, constantly remind them what they promised, and constantly talk about the human rights, and free press, and so on. And we made a big fetish of that. I mean, I never had anybody come into that country that we didn’t go past La Prensa and visit. And they knew exactly what that meant. And we made a big to-do about human rights. I went to their independent human rights commission, which was investigating every abuse, and so on. I went out to their jails early, to look at them. You know, I just made a big, major effort to have them understand that we didn’t have our eyes closed. And when we spoke, I used to speak quite honestly about it. That they made a hell of a mistake by having so many people in jail. That they’d taken on a burden that was going to leech them for no good reason. And over the long term, it was going to cost them more than they’d ever be able to recover from — whatever security concerns it addressed. I lectured them about security. I said, you know, “I’ve been around enough security people to tell you they give you bad advice almost all the time.” And I said, “Watch the intelligence people that you’re getting from Cuba. Because you think they’re wiring for you; I’m telling you, they’re wiring you for sound.” And you get some interesting responses back. I found two things that we had to worry about. One was their export of revolution. Because they were fascinated by the romantic idea that they were the new revolutionaries. Castro told them, “You’re the new generation.” This guy — he’s a world-class snake oil salesman. He really is a mesmerizer. He’s a real, real article; but he’s a snake oil salesman. No matter how good he is, he’s a snake oil salesman. He convinced these guys that they had brought about a new concept of revolution. His [Cuba] was almost an antiquated model; this [Nicaragua] was the new model, see, and the new model had two new elements in it. One was religion; it had the church. And the second, it had people from the private sector. In other words, it was a total societal overthrow. And it had all the elements of a new revolution. But this was baloney. They were just taken in by this. And they were taken by the idea that they could play a role way beyond Nicaragua. Now what was happening, which made this thing very credible to them, every cuckoo nut around the world was there. We had extremists from Peru. We had the Montoneros from Argentina. Miristas from Chile. The Tupamaros from Uruguay. 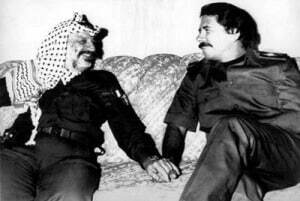 We had the PLO [Palestine Liberation Organization]. We had North Koreans; it was the first time I saw the North Koreans. We had revolutionaries from Africa. I mean, you walked around — especially at the Intercontinental Hotel — and it looked like some sort of a Hollywood stage…. It was very dangerous; it seemed to me it was very dangerous for these people to think that they could do these things, when they couldn’t even run the country. Nicaragua was in terrible shape. And I used to talk to them about relations with their neighbors, and relations with us. Basically the line I took was that they should attend to their own needs at home. That became problematic. I mean, it was there right in the beginning. And they would argue at great length that you don’t understand that there’s sort of a harmonic feeling here, throughout this region. And all these other societies are not going to make it; they’re going to topple. “Oh, well, we’re not doing quite that.” This became central, and I think it’s always been the central issue: just how much they were going to intrigue and get themselves involved in other countries. And ultimately, I think it led them into problems that have beset them ever since.